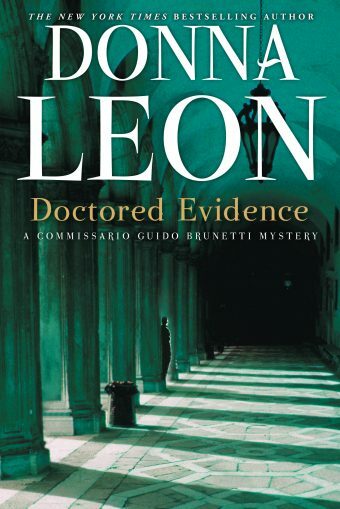 Donna Leon is the author of the highly acclaimed, internationally bestselling Commissario Guido Brunetti mystery series. 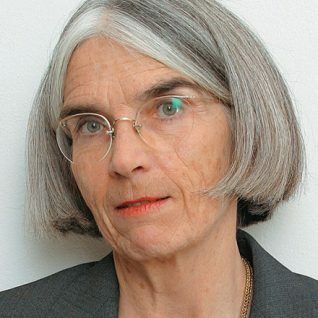 The winner of the CWA Macallan Silver Dagger for Fiction, among other awards, Donna Leon lived in Venice for many years and now divides her time between Venice and Switzerland. 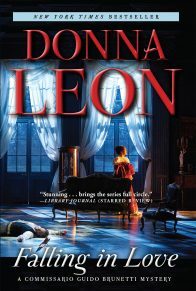 The New York Times Book Review has raved that Donna Leon’s evocative, riveting crime novels “shimmer in the grace of their setting and are warmed by the charm of their characters.” Her highly anticipated new novel once again follows Commissario Guido Brunetti through the winding streets of contemporary Venice as he throws open the doors to a case his fellow policemen would rather leave closed. After the body of a wealthy elderly woman is found brutally murdered in her Venetian apartment, the police suspect her maid, who has disappeared and is heading for her native Romania. When the woman is approached by the border police as her train is leaving Italy, she makes a run for it and is killed as she crosses the tracks. She has a considerable sum of money on her and her papers are obvious forgeries. Case closed. 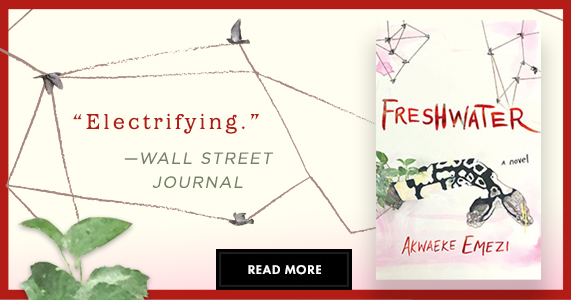 But when the old woman’s neighbor returns from a business trip in London, it becomes clear that the maid could not have had time to kill the old woman before catching her train and that the money on her was not stolen. Commissario Guido Brunetti decides—unofficially—to take on the case himself. At home, Brunetti’s loving wife, Paola, reads the chapter in her daughter’s religious instruction book about the Seven Deadly Sins. As he investigates the case, Brunetti realizes that this is probably not a crime motivated by Greed, rather that the motive may have more to do with the temptations of Lust. But perhaps Brunetti is following a false trail and thinking of the wrong sin altogether. 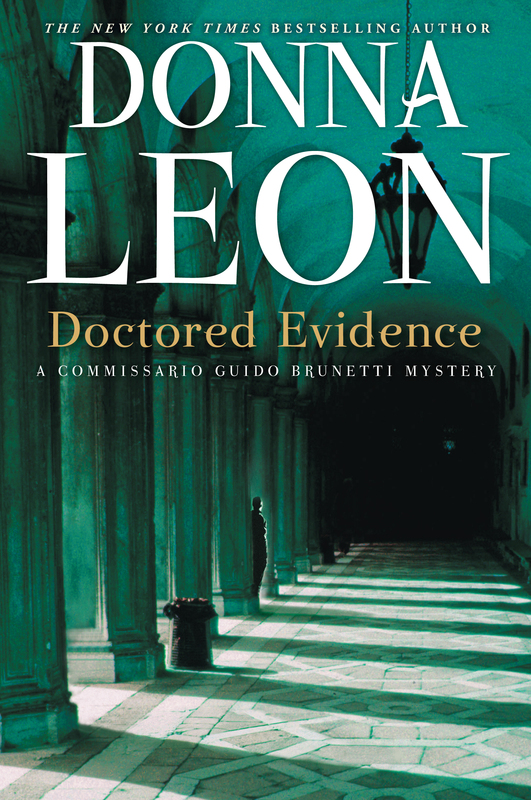 Doctored Evidence is an impeccable novel of suspense that once more finds Commissario Brunetti and his indispensable aid, Signorina Elettra, navigating the murky backwaters of Venetian society. 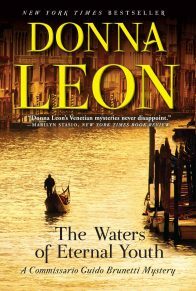 Donna Leon brilliantly re-creates contemporary Venice, showing why she has been praised around the world as a masterful storyteller. She was an old cow and he hated her. Because he was a doctor and she his patient, he felt guilty about hating her, but not so guilty as to make him hate her any the less. Nasty, greedy, ill-tempered, forever complaining about her health and the few people who still had the stomach for her company, Maria Grazia Battestini was a woman about whom nothing good could be said, not even by the most generous of souls. The priest had given up on her long ago, and her neighbours spoke of her with distaste, sometimes with open animosity. Her family remained connected to her only by means of the laws governing inheritance. But he was a doctor, so he had no choice but to make his weekly visit, even though it now consisted of nothing more than a perfunctory inquiry as to how she felt, followed by the speedy measuring of her pulse and blood pressure. He’d been coming for more than four years now, and his aversion had become so strong that he had lost the fight against his repeated disappointment at the continued absence of signs of illness. Just past eighty, she looked and acted a decade older, but she’d live to bury him; she’d live to bury them all. He had a key and used it to let himself into the building. The whole place was hers, all three floors, though she occupied only half of the second. Spite and meanness caused her to maintain the fiction that she occupied all of it, for by so doing she kept her sister Santina’s daughter from moving into either the floor above or the one below. He forgot how many times, in the years since the death of her son, she had hurled abuse upon her sister and told him how much pleasure it gave her perpetually to frustrate her family’s designs upon the house. She spoke of her sister with malice that had gathered momentum ever since their shared childhood. He turned the key to the right, and because it is in the nature of Venetian doors not to open at first try, he automatically pulled the door towards him as he turned the key. He pushed the door open, stepping into the dim entrance hall. No sunlight could penetrate the decades of grease and dirt that covered the two narrow windows above the door to the calle. He no longer noticed the dimness, and it had been years since Signora Battestini had been able to come down the steps, so the windows were unlikely to be cleaned any time soon. Damp had fused the wires years before, but she refused to pay for an electrician, and he had lost the habit of trying to switch the light on. He started up the first flight of stairs, glad that this was his last call of the morning. He’d finish with the old horror and go and have a drink, then get some lunch. He didn’t have to be at his surgery to see patients until five; had no plans after lunch and nothing he particularly wanted to do, so long as he could be free of the sight and sound of their wasted and bloated bodies. As he started up the second flight, he found himself hoping that the new woman—he thought this one was Romanian, for that was how the old woman referred to her, though they never stayed long enough for him to remember their names—would last. Since her arrival, the old shrew was at least clean and no longer stank of urine. Over the years he’d watched them come and go; come because they were drawn by the prospect of work, even if it meant cleaning and feeding Signora Battestini and submitting to her unrelenting abuse; go because each had eventually been so worn down that even the most abject need could not resist the assault of the woman’s nastiness. From the habit of politeness, he knocked at her door, though he knew it a futile courtesy. The blaring of her television, which had been audible even from outside the building, drowned out the sound: even the younger ears of the Romanian—what was her name?—seldom registered his arrival. He took the second key and turned it twice, then stepped into the apartment. At least it was clean. There had been a time, he thought it was about a year after her son died, when no one had come for more than a week, and the old woman had been left alone in the apartment. He still remembered the smell of the place when he’d opened the door for his then bi-monthly visit, and, when he’d gone into the kitchen, the sight of the plates of decomposing food left on the table for a week in the July heat. And the sight of her, body encased in layers of fat, naked and covered with the drips and dribbles of what she had tried to eat, hunched in a chair in front of the eternally blaring television. She’d ended up in hospital that time, dehydrated and disoriented, but they’d wanted quit of her after only three days, and since she demanded to be in her own home, they’d gladly taken the option and had her carried there. The Ukrainian woman had come then, the one who’d disappeared after three weeks, taking a silver serving plate with her, and his visits had been increased to once a week. But the old woman had not changed: her heart pounded on, her lungs pulled in the air of the apartment, and the layers of fat grew ever thicker. He set his bag on the table by the door, glad to see that its surface was clean, a sure sign that the Romanian was still there. He took the stethoscope, hooked it behind his ears, and went into the living room. Had the television not been on, he probably would have heard the noise before he went in. But on the screen the much-lifted blonde with the Shirley Temple curls was giving the traffic report, alerting the drivers of the Veneto to the potential inconvenience of traffico intenso on the A4 and drowning the industrious buzzing of the flies at work on the old woman’s head. He was accustomed to the sight of death in the old, but deaths in old age were usually more decorous than what he saw on the floor beneath him. The old die softly or the old die hard, but because death seldom comes as an assault, few resist it with violence. Nor had she. Whoever had killed her must have taken her completely by surprise, for she lay on the floor to the left of an undisturbed table on which stood an empty cup and the remote control of the television. The flies had decided to divide their attention between a bowl of fresh figs and Signora Battestini’s head. Her arms were flung out in front of her, and she lay with her left cheek on the floor. The damage was to the back of her head, which reminded him of a soccer ball his son’s dog had once bitten, deflating it on one side. Unlike her head, the skin of the soccer ball had remained smooth and intact; nothing had leaked from it. He stopped at the door, looking around the room, too stunned by the chaos to have a clear idea of what he was looking for. Perhaps he sought the body of the Romanian; perhaps he feared the sudden arrival from some other room of the person who had done this. But the flies told him that whoever had done this had had more than enough time to flee. He glanced up, his staggered attention caught by the sound of a human voice, but all he learned was that there had been an accident involving a truck on the A3 near Cosenza. He walked across the room and switched off the television, and silence, neither hushed nor respectful, filled the room. He wondered if he should go into the other rooms and look for the Romanian, perhaps try to help her if they had not succeeded in killing her, too. Instead, he went into the hall and, taking his telefonino from his pocket, dialled 113 and reported that there had been a murder in Cannaregio. The police had little trouble finding the house, for the doctor had explained that the victim’s home was at the beginning of the calle to the right of the Palazzo del Cammello. The launch glided to a halt on the south side of the Canale della Madonna. Two uniformed officers jumped on to the riva, then one of them leaned back into the boat to help the three men from the technical squad unload their equipment. It was almost one. Sweat dripped from their faces, and their jackets soon began to cling to their bodies. Cursing the heat, wiping vainly at their sweat, four of the five men began to carry the equipment to the entrance to Calle Tintoretto and along to the house, where a tall, thin man waited for them. “Dottor Carlotti?” the uniformed officer who had not helped in unloading the boat asked. “It was you who called?” Both men knew the question was unnecessary. “You have a key?” the policeman asked. Though his voice was neutral, the question filled the air around them with suspicion. “Yes. I’ve had one for the last few years. I have the keys to the homes of many of my patients,” Carlotti said, then stopped, realizing how strange it must sound, his explaining this to the police, and made uncomfortable by the realization. “Would you tell me exactly what you found?” the policeman asked. As the two men spoke, the others deposited the equipment inside the front door and went back to the launch for more. “Because I’ve seen her,” Carlotti said and left it at that. “No, of course I don’t know who he was,” the Doctor insisted, trying to sound indignant but managing only to sound nervous. Carlotti followed the policemen, resolved to say as little as possible and not to display any unease or fear. He was accustomed to the sight of death, so the sight of the woman’s body, terrible as it was, had not affected him as much as had his instinctive fear of being involved with the police. At the top of the stairs, the policemen entered the apartment without bothering to knock; the doctor chose to wait outside on the landing. For the first time in fifteen years, he wanted a cigarette with a need so strong it forced the beat of his heart into a quicker rhythm. He listened to them moving around inside the apartment, heard their voices calling to one another, though he made no attempt to listen. The voices grew softer as the policemen moved to the next room, where the body was. He moved over to the windowsill and half sat on it, heedless of the accumulated filth. He wondered why they needed him here, came close to a decision to tell them they could reach him at his surgery if they wanted him. But he remained where he was and did not go into the apartment to speak to them. After a time, the policeman who had spoken to him came out into the corridor, holding some papers in a plastic-gloved hand. “Was someone staying here with her?” he asked. The policeman held out one of the papers to him. It was a form that had been filled in by hand. At the bottom left was a passport-sized photo of a round-faced woman who could have been the Romanian. “Is this the woman?” the policeman asked. “I think so,” Dottor Carlotti answered. “Florinda Ghiorghiu,” the policeman read, and that brought the name back. “Yes. Flori,” the doctor said. Then, curious, he asked, “Is she in there?” hoping the police would not find it strange that he had not looked for her, and hoping they had not found her body. “You think . . .” Carlotti began, but the policeman cut him off. 1. 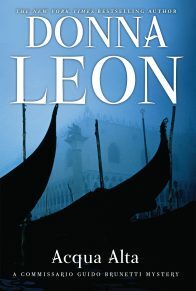 Donna Leon’s stories paint a vivid picture of a Venice full of intrigue, with beauty and corruption in almost equal measures. How does the Venice in her books compare to the Venice of popular imagination or to the real Venice? 2. In Doctored Evidence do people behave in specifically Italian or Venetian ways? 3. 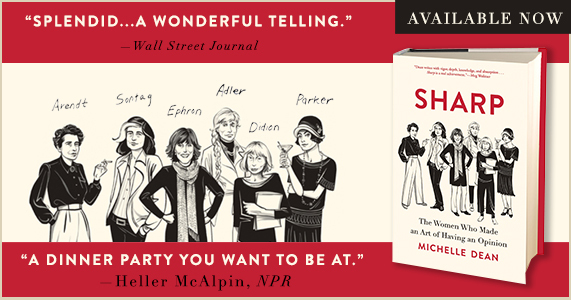 What are the roles of food and wine in this book? 4. In the beginning of Doctored Evidence, the Venetian police conclude that Signora Battestini’s Romanian housekeeper, Florinda Ghiorghiu, committed the murder. To what extent is this conclusion marked by ethnic prejudice? What other prejudices do the characters exhibit in the novel? 5. Donna Leon characterizes Venice as “a sleepy provincial town.” What does she mean by this? What is the effect of gossip? A loud television? 6. When Signora Grismondi goes to the Questura to report what she knows about the morning of the murder, Lieutenant Scarpa is suspicious of her motives yet Commissario Brunetti trusts her. Would you have believed her? Why or why not? 7. In the Commissario Brunetti series, Signora Elettra’s hacking prowess is the key to solving the crimes at hand. Brunetti frequently bends the rules in the pursuit of truth. Do you think that the end justifies the means? 8. In the beginning of the case, Brunetti feels the crime is one of lust but finds out otherwise. Which deadly sin results in murder? 9. Personality conflicts abound at the Questura. In your opinion, does Brunetti handle these well? What are the sources of the alienation between Brunetti and Patta? Between Brunetti and Scarpa? Is there more than just a North/South rivalry? 10. When Brunetti confronts Rossi with the knowledge that his diploma is a forgery, Rossi says, “But I’ve got two children.” Brunetti also has two children but is unsympathetic. Why? 11. In what way do the discussions between Guido and Paola illuminate issues of everyday morality? Are her opinions helpful to him in solving the case? 12. 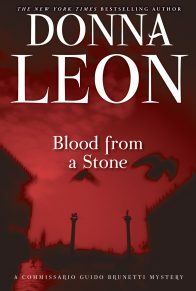 Donna Leon seems to take on religion throughout Doctored Evidence: Paula explains the sacrament of Extreme Unction as a method for the church to acquire real estate, and the old woman is murdered with a statue of Padre Pio. A statue of the Madonna, which contains the final clue, lacerates Brunetti’s knee. 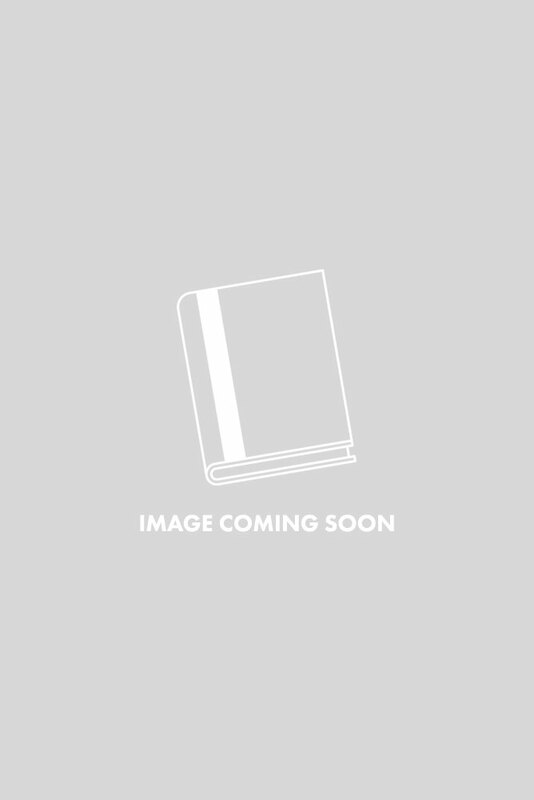 What is the role of religion in this book? 13. In how many ways is Signora Elettra totally fabulous? 14. How is the pleasure of reading the book enhanced by the depiction of the experience of Venice? 15. 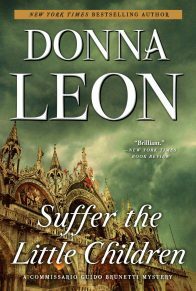 Donna Leon is extremely careful about the locations in Venice. Try reading Doctored Evidence or any of her other Brunetti novels with a map or guidebook. Where are San Lorenzo and the Questura? The Miracoli? Alberoni? Castello? Misericordia? Join The Grove Atlantic Mailing List Today. Newsletters, offers and promotions delivered straight to your inbox. ©2019, GROVE ATLANTIC, INC. ALL RIGHTS RESERVED.